On the 19th October 2004, I heard the words that I never wanted or thought I would ever hear “Nilla, you have Breast Cancer”. My Breast Cancer diagnosis should have and could have stopped me from doing, being, and achieving. However, the journey has been life changing and with the help of John my husband, family, and friends, I am proud to say that I am a twelve plus year thriver. I knew I had to face my Breast Cancer challenge head on and do whatever it took to stay alive. 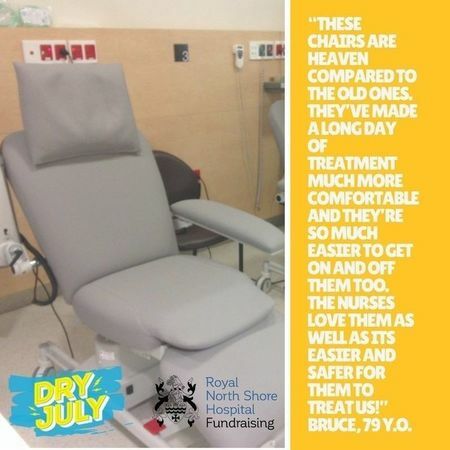 Dry July helped Royal North Shore Hospital purchase 7 new treatment chairs for the day unit. The patients who receive their treatment in these chairs regularly tell the Nursing staff how much more comfortable they are when they have to sit in them for hours on end. The Nurses also report that the chairs have improved patient safety and allow them to administer treatment more easily. "These chairs are heaven compared to the old ones. They've made a long day of treatment much more comfortable and they're so much easier to get on and off as well. The nurses love them as it is easier and safer for them to treat us. 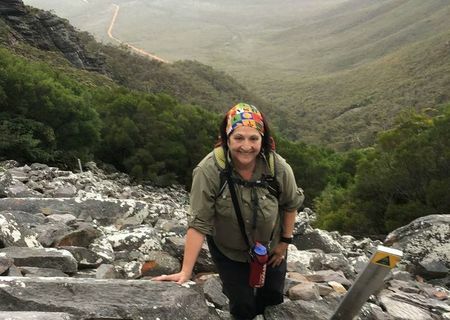 Like many people undergoing a cancer diagnosis and treatment, Christine Fousketakis struggled to get through every day, and things she had loved doing, like gardening, became a thing of the past. 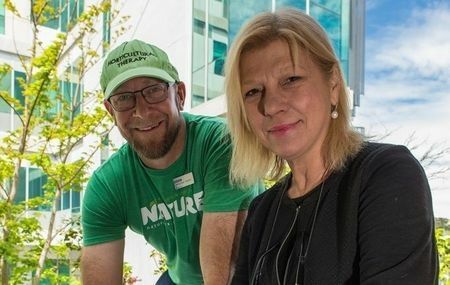 Diagnosed with breast cancer, Christine underwent a rigorous treatment plan at the Olivia Newton-John Cancer Wellness & Research Centre (ONJ Centre) including surgery, radiotherapy and hormone therapy. 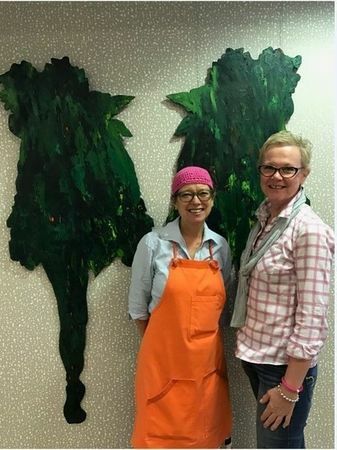 Christine visits the ONJ Centre twice each week and takes part in many wellness and supportive care programs including horticultural therapy, which is funded by Dry July. Last July, my husband, our youngest daughter and I shared a fantastic month camping through Central Australia. About half way through the trip, I had a spectacular fall - not a fall climbing a dramatlc rock face or wading through a swollen creek, but a very ungainly fall while hanging out washing in the caravan park in Alice Springs! I landed on my right side and really hurt my chest wall. I kept massaging the area in an attempt to find out what I had done (l subsequently found I had broken a rib), and felt a lump in my right breast. Now I am pretty flat-chested, so I was sure it hadn't been there before. I assumed it was a consequence of the injury, but kept an eye on it. My name is Wal, I am one of those people who never gets sick. 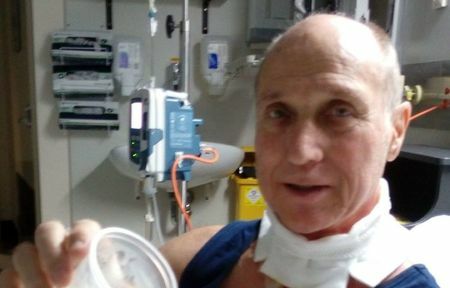 So you can imagine how daunting it was to be told I had cancer of the larynx at age 67 in what should be my last working year. 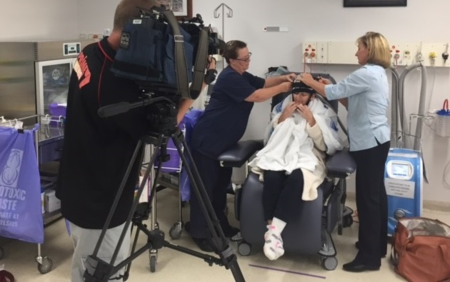 After initial biopsy which confirmed the cancer, I was referred to The cancer therapy centre at Liverpool Public Hospital which I am told has one of only four machines in NSW to treat my particular cancer. Like most people diagnosed with cancer, life changed instantly for Sharon when she was told she had Acute Myeloid Leukaemia last December. Her diagnosis came after she wasn't feeling well and decided to visit the doctor. "I don't like needles, you see, but I knew something wasn't right and decided to go to the doctor," Sharon explained. "That day I had my first ever blood test, then a few days later I found out I had cancer." 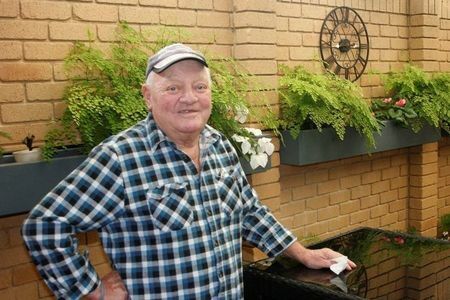 Sharon's road to recovery has not been easy but she found some comfort in a quiet space during her long stays at Fiona Stanley Hospital (FSH). Meet Angie, a powerfully positive mum of two daughters, who couldn’t believe cancer had happened to her. Cancer was not in her family genes - in fact Angie used to joke with her daughters about how beautiful the genes were that she had passed down to them, right down to their perfectly-shaped eyebrows. Now, because of her treatment, Angie no longer has eyebrows. In 2013, Angie was diagnosed with Breast Cancer and commenced her after which she was given the all clear later that year. She was done, she had beaten it, and left as a healthy, happy woman with a new lease on life.